Crain Communications is one of the largest privately-owned business publishers in the U.S.
enabling intelligence on all things wireless for industry leaders and enterprise volume buyers. 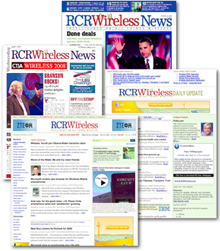 RCR Wireless News is the premier news source for the wireless communications industry and related ecosystem. Challenges included changing a 25-year-old organization that was primarily print-centric to one that was Web2.0 savvy and operationalized, the rapid shift by marketers away from print, and the economic collapse of the ad market in 2009. Solutions: Developed integrated media platform content products geared to professionals at wireless carriers/operators, network equipment and device manufacturers, Internet service providers, distributors and regulatory agencies; set sales and marketing strategies; identified and segmented target markets for more rapid sales growth; infused lead-generation throughout product portfolio; changed organization from print-centric to web-centric publishing. 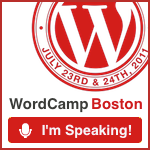 Created a system of multi-sourced content. Evaluated acquisitions; negotiated content, production and relationship contracts. • Quadrupled web audience and tenfold increase in eNewsletter registrations through massive web-rearchitecture project and aggressive use of search engine optimization techniques. • Web and digital publishing methods viewed as a laboratory within the parent company for use by other Crain publishing groups. IDG is the world’s leading technology media, research and events company. Challenges included launching a publishing company right after the “perfect storm” of the bursting dot-com bubble, the post-Y2K declining technology ad market, the rapid change in media preference from print to online and the terrorism attacks of 9/11. Publisher, functioning as chief operating officer from inception of these brands. Promoted to president in April 2004. Skilled in rigorous profit-and-loss budget fiscal management, recruiting, training and retaining top talent, developing and implementing comprehensive strategic plans, increasing value of the brand via product and revenue diversification. Areas of focus included: developing products/technologies and driving revenues across online, digital and print media, as well as conferences/expos, Webcast programs and non-advertising areas. Solutions: Developed editorial content products geared to professionals at pharmaceutical, biotech and health care organizations, and set their sales and marketing strategies; identified and organized advertiser/reader customers; optimized, packaged and marketed company for recent sale. • Received 34 editorial and design awards (Neal, ASBPE, Web Marketing Assoc., Folio magazine) since launch. 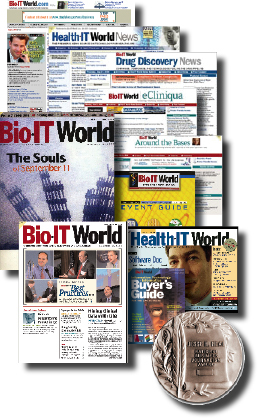 • Bio-IT World named Best New Launch by Business Marketing; Health-IT World named Best eNewsletter by ASBPE. • Simultaneous launch of Web site, eNewsletters, monthly print magazine and expo in less than six months of development. • Grew revenue by 72 percent in second full year of publishing; achieved 24 percent ad page share against 11 publications. • Developed products that appealed to a broad group of revenue clients, including information technology, informatics and software, equipment and instrumentation, business and legal services. • Grew sales to more than 300 customers since launch, including bellwethers IBM, Microsoft, EMC, HP, General Electric, Apple, Oracle, Applied Biosystems, Amersham, Thermo, Sprint, CapGemini, Bearing Point, Waters and SAS. • Audience development was completed in record time and under budget yielding a BPA-verified, controlled, mostly management circulation. • Established three-pronged approach guiding use of digital publishing technologies: low-priced subs pushing growth into new markets, cost savings on controlled and complimentary copies, rapid launch of new titles. • Continuously expanded electronic product line, from acustom web seminars to niche-topic e-newsletters to robust Web site, generating more than 40 percent of company revenues. Expanded franchise to include more buy-in levels, revenue sources. • Redesigned and relaunched website on a flexible, open-standards platform, stimulating a fourfold increase in ad impressions, resulting in a major increase in revenue. Reorganized ad ops to optimize campaigns using Web analytics. • Infused lead-generation devices throughout product portfolio. • Prepared formal presentations to Board of Directors three times per year over four-year period. • Trimmed over $1 million in launch and developmental expenses over last fiscal year. Bottom line: self-sufficient run-rate achieved in three years.